Thanks to Chuck E. Cheese’s for this great guest post! If you’ve been avoiding pitching in to help plan your school’s big fundraiser because you are dreading the endless paper trail and countless hours on the phone coordinating participants, we have great news! Gone are the days of gigantic event notebooks and SignUp sheets on clipboards. In today’s digital world, there are many tools right at your fingertips and free of charge that make coordinating the easiest fundraisers, like a Chuck E. Cheese’s Night, even simpler! Google Drive: Google Drive is a tremendously versatile and free online tool. With your Google account, you can collaborate with your participants on promotional materials and spreadsheets. Your team works together on planning documents, edit/update shared documents in real time, generate simple forms, and revise and comment on documents in draft form. Everything is saved in the cloud and can be accessed from any device. Planning a Chuck E. Cheese’s Night? Share promotional flyers and materials with school parents via Google Drive. 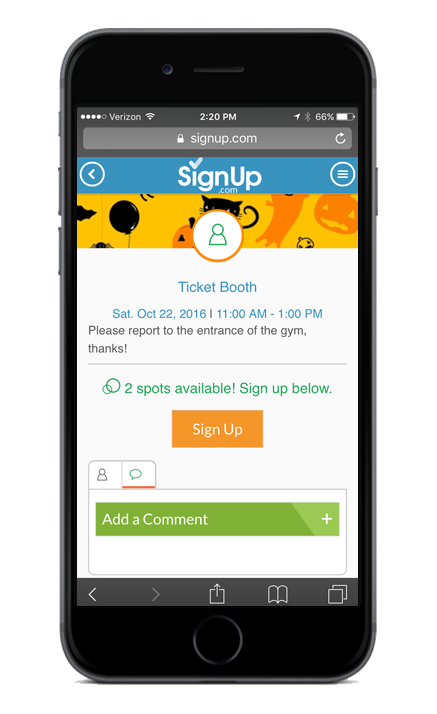 SignUp.com: SignUp.com’s free, online volunteer calendar and fundraiser SignUp sheets are revolutionizing the way non-profits, schools, churches and community groups are managing their volunteer commitments. What used to take a full-time coordinator to keep track of now is fully automated, comes with 24/7 access from computers and mobile devices, and has real-time eCalendar syncing, not to mention automated reminders - try it out now! Bonus Tip: SignUp.com lets you customize your SignUps with colorful themes and badges! Organizing volunteers for a Chuck E. Cheese’s Night fundraiser? Upload the Chuck E. Cheese’s mouse to your theme for that extra flare. Slack: Slack is an online, social-messaging platform for groups. All the communication on Slack gets grouped into different Channels, and everything is searchable. Slack works so well as a collaboration tool because of its notifications, which are plentiful and customizable. Dropbox: Lots of free storage space from Dropbox allows you to create and save documents (with and without graphics) that can be shared with your entire fundraising team. It’s an easy way to send large files to any number of participants and a great place to store your event photos. Trello: A simple project management software, Trello is the free and easy solution to piles of papers. Think of it as a gigantic white-board. Create project timelines and task out what your group is to do, doing, and done with. It includes easy to follow steps, checklists, the ability to assign people to certain tasks. Doodle: Doodle allows you to find mutual meetings times or event dates without any email chains or telephone tag. Participants simply fill out a form noting their availability on specific dates and voila! A mutually agreeable date appears. Group collaboration tools like these make it easy to quickly share messages and updates with groups of volunteers, supporters and parents. For example, if you need to share a date or time change for your Chuck E. Cheese's Family Pizza Night Fundraiser with your school parents, you can quickly message volunteers to help you spread the word using these tools. Or if you need to disseminate marketing materials (like flyers for your Chuck E. Cheese's Fundraiser) for volunteers to post, hand out and share, you can share them in the cloud with free tools like Dropbox or Google Docs. It’s never been easier to raise money!